ATLANTA, Feb. 7, 2019 /PRNewswire/ — Two of the biggest names in music and entertainment are joining forces on March 21 to help raise funds to support nonprofit organizations working to revitalize the historic Westside of Atlanta. Steve Harvey will host and Bruno Mars will headline the inaugural Beloved Benefit, which will bring together all of Atlanta to honor and celebrate the legacy of the Westside and the great work being done there. 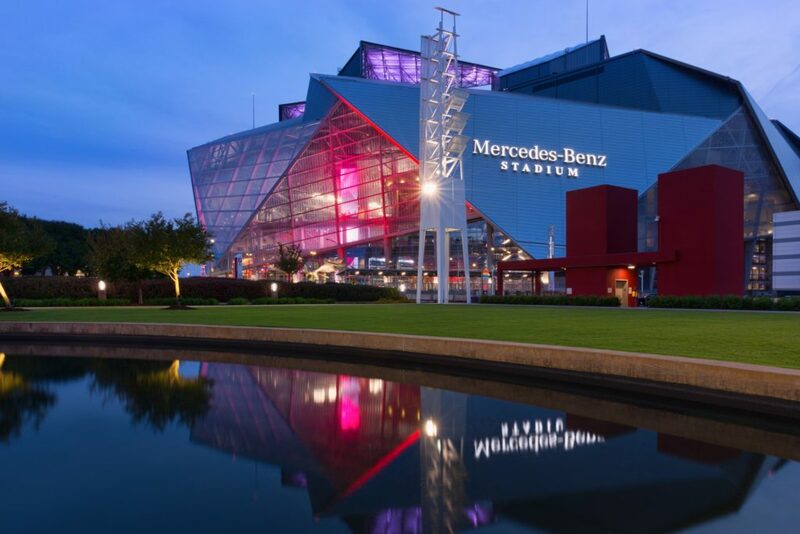 On March 21, 2019, business leaders, Atlanta residents, clergy and nonprofits will come together at Mercedes-Benz Stadium for the Beloved Benefit. They’ll share one common purpose – to tell the story of Atlanta’s historic Westside and celebrate the work of those actively making a difference there. Learn more at www.belovedbenefit.org. Entertainer, magnate and philanthropist Steve Harvey will serve as emcee for the evening, which will spotlight Atlanta’s powerful history as the cradle of the civil rights movement and its bright future as a city on the front lines of change. Grammy-winning recording artist Bruno Mars will headline the evening’s entertainment, and multi BRIT award-winning British singer-songwriter Emeli Sandé will perform “Hope,” her stunning song about Dr. Martin Luther King Jr. In addition, attendees will experience culinary delights, powerful speakers and a few surprise performances reflective of the city and the Westside. The inaugural Beloved Benefit, which was announced in October, will be hosted on the field of Mercedes-Benz Stadium. One hundred percent of proceeds will go back to area nonprofits. With the help of its star-studded lineup, the event will increase awareness of issues impacting Atlanta’s Westside, build support for those making a difference in the community, and unite all of Atlanta to rally behind the residents of the Westside. During the benefit, local nonprofits will be honored for their efforts in sustainable growth and development of the Westside. Following the event, the Beloved Benefit team will distribute proceeds to the following inaugural beneficiaries: The At-Promise Youth and Community Center, City of Refuge, Grove Park Foundation, The Westside Future Fund and Westside Works. Ten additional nonprofit organizations will also be recognized with Beacon Awards, which honor organizations’ resiliency and continued work to advance the Westside and current Westside residents. Based on the idea of the Beloved Community amplified by Dr. King, the Beloved Benefit aims to nurture love, respect and trust among all Atlantans. To learn more about the Beloved Benefit, visit www.belovedbenefit.org.